Crocheted EarringsThere are 30 products. Crocheted earrings, handmade earings, designer earrings from Unikatnica. Crocheted earrings from e-shop Unikatnica are designer earrings, which are made for women who like different, elegant and fashionable looking handmade earrings and would like to emphasize and enchance their natural beauty. 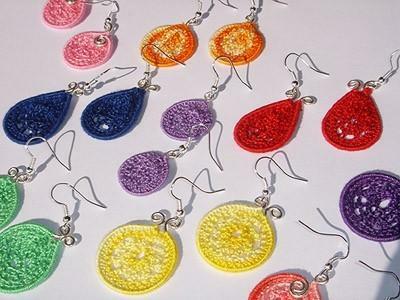 Crocheted earrings are made of crocheted wool, knitting-yarn and wire and some of them also include Swarovski Crystals. By choosing knitted earrings from Unikatnica you are agoing to choose beautiful, special and handmade gifts for women.